Our spring recruitment begins with a general posting for teacher positions for the 2019-2020 school year that will be open between March 4 and 18, 2019. We will screen and interview in late March/early April and consider applicants for placement into positions where the qualifications, experience and location preferences of the applicant align with the needs of our schools. Join our team of dedicated and enthusiastic professionals working for students. To submit a general application, go to our online applications page. In addition to the general posting, remember to check back regularly to see Current Job Opportunities and apply for specific positions that align with your qualifications and interests. Applications are accepted and interviews are conducted for teaching and other positions throughout the year. While the majority of hiring takes place in May and June, replacement, temporary and other positions become available throughout the year and offers of employment may be made to members of the applicant pool as vacancies arise. Until regular opportunities arise, successful applicants may be invited to the substitute/casual pool. 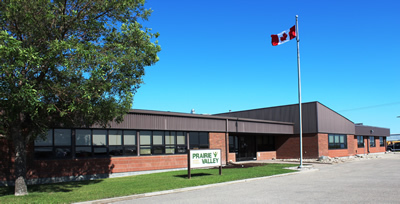 Thank you for your interest in Prairie Valley School Division! Applicants selected for an interview will be contacted by Human Resources.